I did not anticipate that my second blog would be based on tragedy. 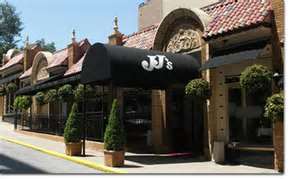 JJ’s on the plaza was an iconic Kansas City landmark, known for great food, great service, a great atmosphere, and best known for its wine list. The destruction of a fire is one that our family knows well after our facility caught fire in August of 2011. We were fortunate enough not to have any of our staff in the facility at the time of the fire. Our prayers and sentiments go out to the employees of JJ’s, the patrons that were harmed in the fire, Jimmy Frantze and his family. Jimmy is a friend of the Brancato family and we will continue to pray for a quick recovery for those affected and their business.